The Epic has many of the same sick features as our high-end wetsuits, including 100% UltraFlex neopr.. Please note: The colours on this image are generic and may not resemble the items in stock.The Epic ..
100% Superstretch (60% Fluid Flex, 40% Ultraflex DS) F.U.Z.E Closure System.Minimal Seam Design.Glu.. Please note: The colours on this image are generic and may not resemble the items in stock.The React..
Get a full dose of performance technology at an incredible value. The Reactor Series utilizes our ex.. 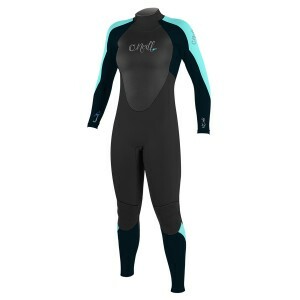 Kids full wetsuit made from 2mm thickness neoprene, the O&apos;Neill Toddler Reactor Wetsuit offers ..